Solomon Adewole Afolaranmi, 72, slept in the Lord on Tuesday, March 20, 2018 in his home in Staten Island surrounded by his loving family. He was born on January 30th, 1946 to Samuel Adeyinka and Elizabeth Adunni Folaranmi in Oke-Agboin, Ogbomoso Nigeria and was the youngest of five children. 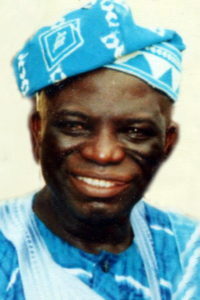 Solomon attended primary and secondary school in Western Nigeria (Ogbomoso) were he studied Engineering. He met his soon to be wife, Abosede Oladele in Kaduna, Northern Nigeria in 1971. His desire to explore the world led him to America in 1972 where he arrived in the city of New York. While in New York City he continued his education at Bronx Community College and CIE Institute of Electronics where he studied Broadcast engineering. Adewole enjoyed driving in the city and turned his hobby into a 30+ year career as a NYC yellow taxi driver to support his growing family home and aboard. Adewole had a smile that would light up any room. He was a proud, hard-working, inspiring helpful, loving Husband, Father, Grandfather, Uncle, Brother and Friend to many. He enjoyed listening to Christian Music and attending church with his wife. Mr. Afolaranmi is survived by his wife of 45 years, Mrs. Abosede Afolarnmi, his 2 sisters back home, his 5 children and their spouses, his 3 grand-children and many nieces and nephews back home. He will be miss by all and he may be gone but Adewole will never be forgotten.